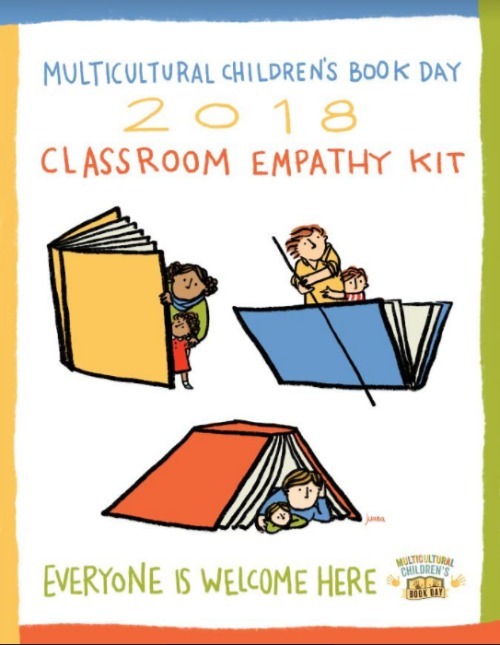 Multicultural Children’s Book Day’s FREE Classroom Empathy Kit is ready to download and share! Now more than ever, a message of hope, compassion, empathy and understanding is needed. Now more than ever, children need to see themselves reflected in the pages of the books they read. Readers of all ages need to be able to “read their world” to both see themselves, and those are who different, whether by culture, religion, sexual orientation, special needs or ethnicity. Now more than ever, we need to come together as a nation of beautifully diverse people. Multicultural Children’s Book Day is proud to offer an initiative and holiday that encourages discovery, hope, acceptance and exploration through the pages of diverse children’s literature. As our fifth Multicultural Children’s Book Day holiday approaches on January 27, 2018, we are thrilled to have you as part of our amazing community of supporters! With enthusiasm, optimism and hope, we are preparing for MCBD201 and hope you will, again, join our celebration of diversity through children’s books. In 2017 year MCBD offered parents, teachers and librarians a FREE downloadable Classroom Kindness Kit. 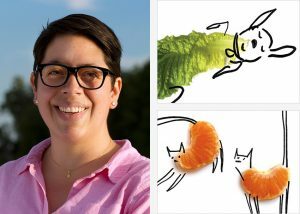 That kit is still available (view it here) and we have just completed the 2018 Classroom Empathy Kit with a special poster from award-winning author Juana Medina. This kit’s emphasis is on understanding and empathizing with immigrants and refugees and includes a robust booklist along with some excellent activity ideas. The new kit is also free to parents, educators and librarians and can be found HERE. THANK YOU to author/illustrator Juana Medina for lending us her amazing talents as well! There is something extra special in this activity/classroom download; and activity that will not only help kids and adults alike understand what’s it’s like to be in the shoes of someone fleeing their homeland, but an activity that I personally have experienced first-hand. I’m Valarie Budayr one of the co-founders of Multi-cultural Children’s Book Day. The Backpack exercise above has actually happened to me and my children. Several years ago we found ourselves in the middle of an invasion while visiting an un-named country on vacation. There were 19 members of our family in one apartment. With me were my three children and my eldest daughter’s best friend. At one point we knew that if we got to a certain place we’d be able to be evacuated out of the situation. We were told that each one of us could bring a small suitcase. Then a short time later we were told we could bring one suitcase between all five of us. A short time later we were told we could each bring one school back pack. We had 15 minutes to pack and leave. It posed a very real life questions of “What do we take with us?”……(to get the full story and how you can bring this activity to your home, classroom or center, sign up below). ~ Empathy Activities including a very powerful “Backpack Activity” that really shines the light on material possessions and what is most important in life. Thank you for cultivating understanding, kindness, inclusion and exploration of this beautiful world in your classroom, home, and gathering place. Hashtag: Don’t forget to connect with is on social media and be sure and look for/use their official hashtag #ReadYourWorld.